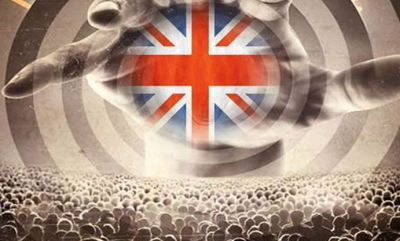 The issue that needs official investigation regarding both Antisemitism and Islamophobia, is the link to a foreign embassy in London that seeks to exert undue influence over Britain’s legislature through its lobbyists at Westminster. This is not only a threat against government but a very real danger both to Britain’s national security and our democratic institutions by attempting to subvert our representatives in both Houses of Parliament. Any lobbyist or individual, in Britain, who is clearly acting in the interests of a foreign power should be registered as a ‘foreign agent’ and his/her activities strictly monitored’. That is only common sense. You wouldn’t allow a fox to roam free in your family home. The problem is how to enact legislation to neutralise the threat when some legislators themselves are currently an (albeit reluctant) part of that threat? One answer might be to require all Members of Parliament to swear a new oath of allegiance to the Crown and Nation, to the clear exclusion of any foreign state, and to make the breaking of that oath a treasonable offence, i.e. criminal disloyalty. These are dangerous times when so-called claimed democracies, (usually nuclear-weaponised), are headed by corrupt politicians and their families. We must not allow Britain to go the same way. Our grandfathers gave their lives in two world wars that we and our children, of whatever faith, should live as free men in a free, just and independent society. A democratic society based on human and civil rights together with national security as the primary imperative. These ideals are now in obvious danger, in Britain, today.